A month and a half ago, we polled our audience, trying to gauge how concerned SEOs are with Google's 'hidden' supplemental index. The results are now in, we have 80 responses and I wanted to share them with you. Here is the breakdown of responses to the question "Are You Concerned Over Google's Supplemental Index?" 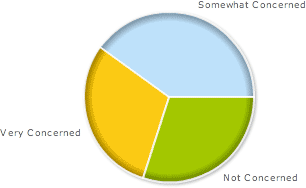 As you can see, 70% of SEOs are still concerned, on some level, with Google's supplemental index. Whereas, only 30% are not concerned at all. I suspect the results would have been much different if Google didn't drop the supplemental tag from the search results.